What do we have here? 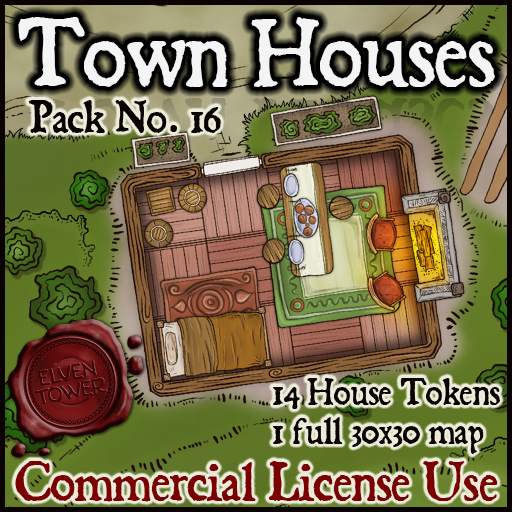 This is a token/asset pack to create small hamlets or towns. It includes one premade map ready to use and the seven different houses in that map as separate assets to reuse or rearrange in different maps. I have also included the house tokens unfurnished. Roofs are included too.. This pack contains 21 tokens, and 2 Scenes. Are you a module creator or writer? This dungeon pack is available for commercial use at no extra charge. You can use locations created with these assets in your modules and adventures. To obtain this commercial license, please contact me.